Carnegie Mellon University expects to save about 10 percent on utilities costs — nearly $2 million annually — by installing a smart building system in 36 facilities on its Pittsburgh campus. The university has partnered with IBM to deploy the technology, becoming the first higher education institution to use the company's new cloud-based analytics system for reducing energy and facility operating costs. "On its own, the deployment of this technology will drive significant energy and operational savings with a very attractive return on investment. Just as important, improved building performance enhances the occupant experience and provides a much more effective education and research environment," said Donald Coffelt, associate vice president for Carnegie Mellon's Facilities Management Services, in a prepared statement. "This technology offers us important gains in initiatives related to advanced infrastructure systems research, the Pittsburgh 2030 initiative and a more proactive building and infrastructure management model." 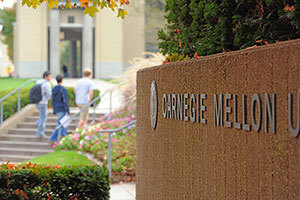 Starting with a nine-building pilot, Carnegie Mellon will use the new IBM Building Management Center, delivered on the IBM SoftLayer cloud, to "monitor thousands of data points from building automation and control systems," according to a press release. The solution uses analytics and asset management tools to monitor overall building performance, identify trends in building use and provide insights for faciltities decision-making. The Building Management Center will also "detect system problems such as simultaneous heating and cooling not identified by other means, and proactively trigger corrective actions." Initially the system will focus on HVAC systems; over about three years, the deployment will be expanded to lighting, water and other utilities in a total of 36 buildings across campus. Several research efforts on campus will benefit from data generated from the deployment, including the university's Smart Infrastructure Institute, the Center for Building Performance and Diagnostics, and CMU's multidisciplinary Metro21 initiative, which seeks to "design and develop solutions affecting the economy and quality of life in metropolitan areas."